Headed to Affiliate World Asia 2018 in Bangkok? Why not extend your trip to make the most of your visit to Southeast Asia? Part of the beauty of working as an online marketer is the freedom to travel… and since you’ll already be in the area, you might as well get the full experience. Not only are there some incredible sights to be seen in the area, many of them are hubs for digital marketers – meaning you’ll likely have a contact or two nearby! Slogan:The Kingdom of Wonder – Feel the Warmth! Fun fact: Okay, to be honest this isn’t very fun. But if you’re traveling to Cambodia, you should at least be aware of its violent history with the Khmer Rouge in the late 70s. Main highlights: Amazing religious monuments and temples. 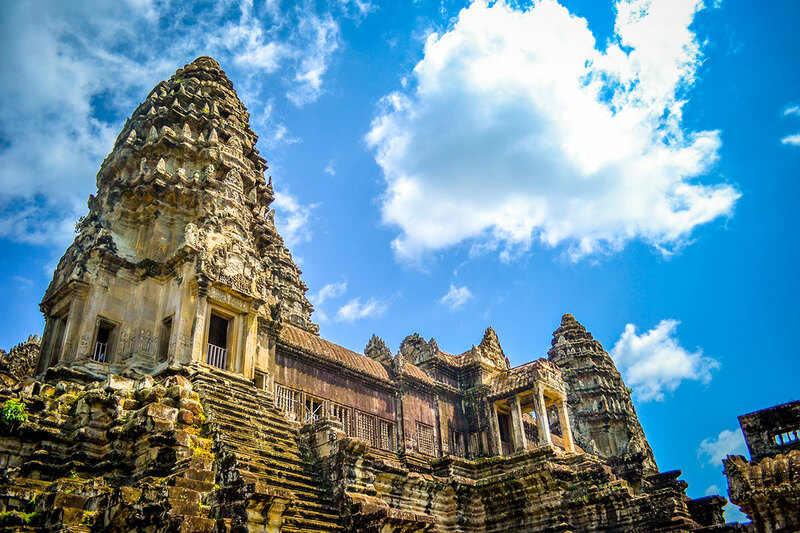 Angkor Wat is the world’s largest religious monument, and Phnom Penh is rich with culture from its past as a hub for the Khmer Empire and French colonialists. One of the world’s most breathtaking and remote countries, Cambodia has emerged from its turbulent past to become a popular destination for culture lovers. Some of the distances between temples can be large, so if you’re planning a religious monument tour, you may want to consider a longer trip. Slogan: Best of it all, it’s in Hong Kong! 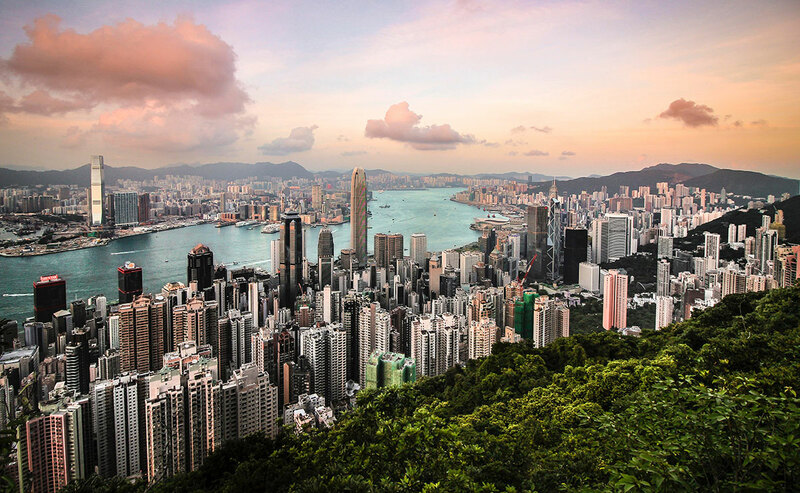 Main highlights: Nightlife in Hong Kong is outstanding, and it’s centered around a few popular areas – making this an awesome spot for a high-class pub crawl. Don’t miss the amazing skyline as well! With more skyscrapers than any other city in the world, Hong Kong is truly an international hub for business – but it’s also cultural in surprising ways. Don’t be surprised if you’re whisked from a small food stall to a skyrise restaurant in one afternoon! Highlights include great shopping, five-star restaurants with incredible views (and delicious local cuisine – seafood is where it’s at), and even some breathtaking hiking destinations. Slogan: Experience Macau! and Macau: a World of Difference, the Difference is Macau! Main highlights: Bigger than Las Vegas with much better Portuguese food. 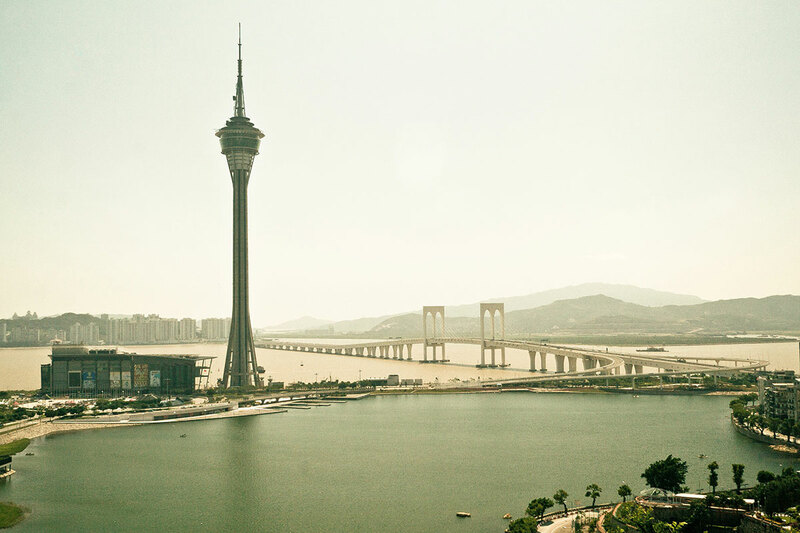 Easily reached from Hong Kong (there’s even a super-long bridge between them opening soon), you may want to consider taking a day trip to Macau – it’s famous for its casinos, but also has a lovely old town with tangible Portuguese heritage. The ferry works great, but you can even get to Macau by helicopter if you wish! If you make it, be sure to check out “The House of Dancing Water” – an award-winning water show running since 2010. Fun fact: Our guide is full of them (not all “fun”), but one interesting standout that didn’t fit: Thailand is the only Southeast Asian country to never be colonized. In fact, the country is called Prathet Thai in the native tongue, which translates to “The Land of the Free”! 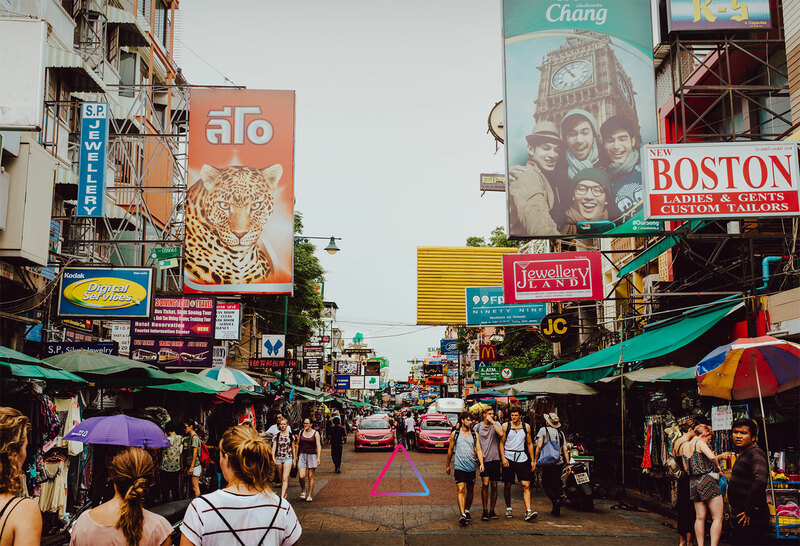 It’s likely that you’ll receive a 30-day visa when you travel to AWA, so if you’ve only been to Bangkok before, now could be the time to explore the rest of Thailand. There are plenty of interesting places to visit around the country – not to mention the massive list of parties and retreats being organized by AWA attendees (check the unofficial AWA party spreadsheet for the latest). 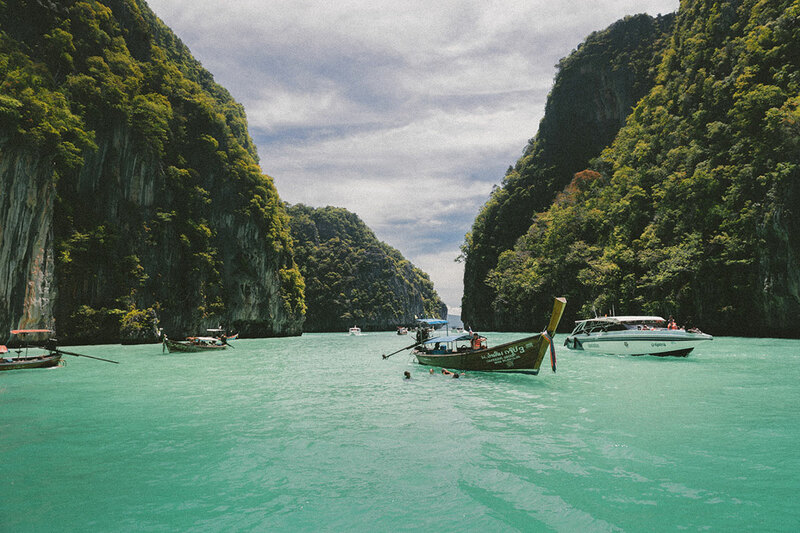 Phuket: The largest Thai island, this popular party destination features some of the most pristine beaches in Thailand. Hua Hin: Excellent resort to detox and relax. Ko Samui: Beautiful island resort with beachside bungalows. Infamous for full moon parties (next one after AWA is 22 December, although there’s a half moon festival on the 15th). Koh Lanta: This suggestion comes from one of the winners of our recent Instagram giveaway – it’s a delightfully exotic island with lush nature and beautiful coral beaches. Great if you want to get away! Main highlights: Sentosa (island resort); the Night Safari; amazing waterfront; Universal Studios; Marina Bay Sands. 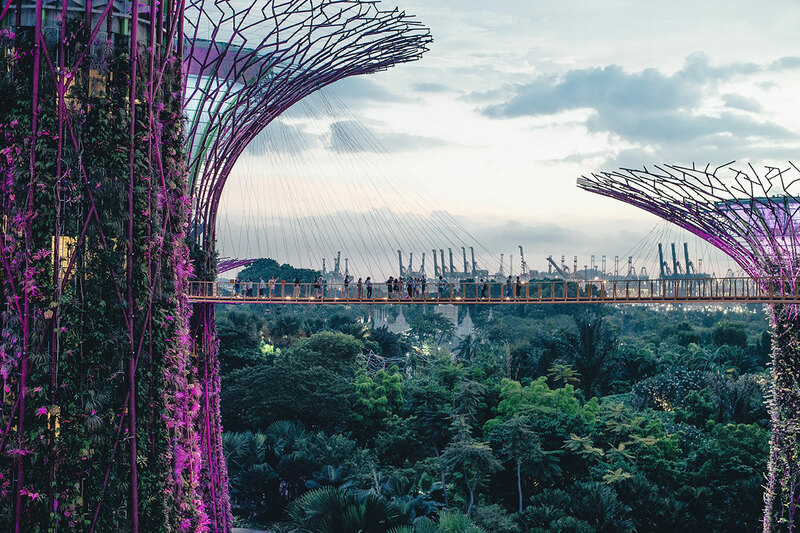 Singapore has undergone radical change in recent decades, transitioning from third-world to first-world in one generation. It’s now a global hub for international business, world-class entertainment, education and innovation – and you’ll see that from the moment stepping off the plane. The movie Crazy Rich Asians has only added to its popularity, putting the city’s incredible street food scene and exotic nightlife in the spotlight. If you really want to let off some steam, we suggest checking out Sentosa – an island resort just off the mainland. Fun fact: If you’re looking to get wet and wild, forget the beach – Waterbom Bali was chosen as the #1 water park in all of Asia last year! Main highlights: Surfing! Also, temples like Pura Ulun Danu Bratan (“The temple by the lake”), Pura Luhur (cliffside temple); the culturally rich Ubud area; and local festivals and events. Another haven for digital nomads (especially those looking to chill), Bali is famous for its laid back hippy-esque lifestyle, rich Balinese culture and beautiful beaches – not to mention the amazing food. Note that wifi can be on the slow side, so if you’re looking for a quick digital detox, this is the place for you (don’t worry, speed’s the only issue; you’ll still be able to connect). Prices on the island are quite cheap, and most accommodation matches local dwellings (as opposed to massive resort hotels), making this the perfect wind-down locale after the hectic action of AWA.